Here is a video showing how small pro-sumer drones can be used on the farm. The video shows a DJI Phantom 3, but there are similarly sized and priced platforms which would also work. With the lower cost of these smaller platforms, it is fairly easy to have them pay for themselves in just a few flights. Keep in mind, however, that any use that is not strictly for hobby or recreational is considered commercial use by the FAA and the operator will need to have a Part 107 Remote Pilot Certificate. For those of you interested in getting certified, Jonathon Rupprecht has put together some great information online: How to Get Your FAA Drone Pilot License (For First-Time and Current Pilots). 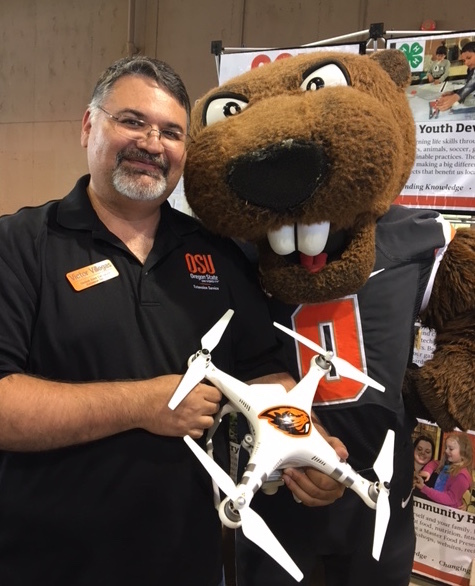 I was invited to exhibit and talk about drone technology and research with some high school students visiting Oregon State University today. They were blown away with how small some of the technology has become and had a lot of questions about capabilities. 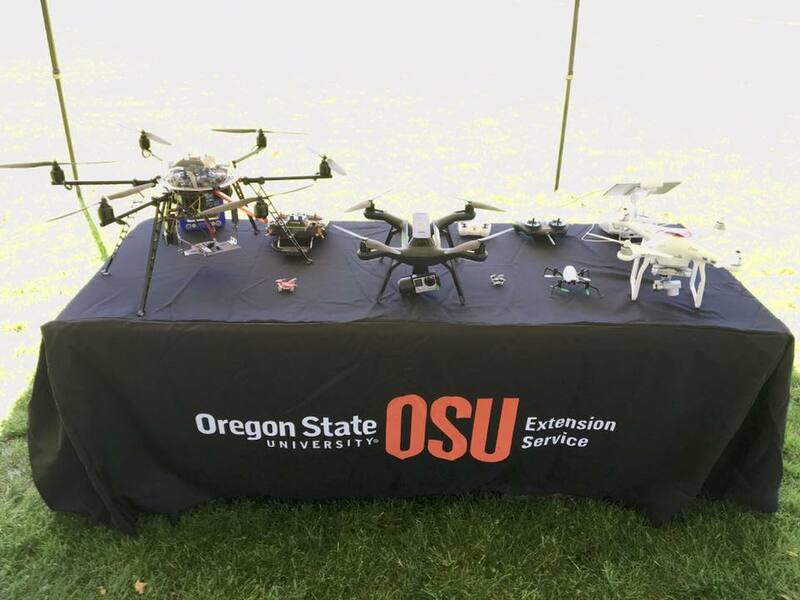 Some of them were creeped out by the fact that some of the small drones had cameras, but were intrigued about how OSU is using drones for research. 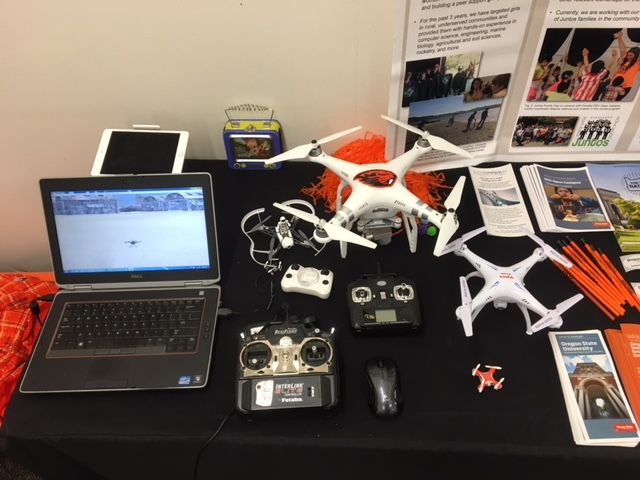 Drones I exhibited included a MikroKopter hexacopter, 3DR Solo, DJI Phantom 3 Advanced, Blade Glimpse, Cheerson CX-10 and the World’s Smallest Quadcopter® – the Aerius quadcopter from Aerix. Here is an interesting fact about the Mikrokopter I exhibited. 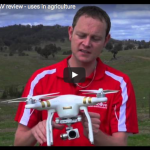 This multirotor was used to do research on nursery tree inventory and crop management. For more information, you can read this news article from The Oregonian: “Oregon nurseries explore unmanned drone technology to monitor fields”. You can also watch this Youtube presentation by one of the researchers (and my eXtension UAS in Agriculture Learning Network colleague), Dr. “Jim Robbins: UAS for Plant Count Inventory”. 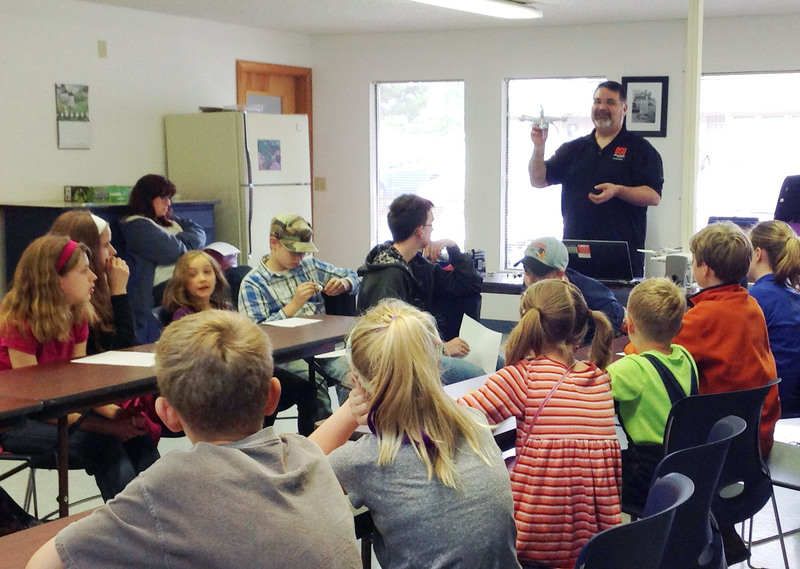 Another successful drone exhibit at the 2016 Tillamook County Fair on Friday, August 12. I flew my “Little Drone Juan” Cheerson CX-10 in the booth to the delight of those passing by. 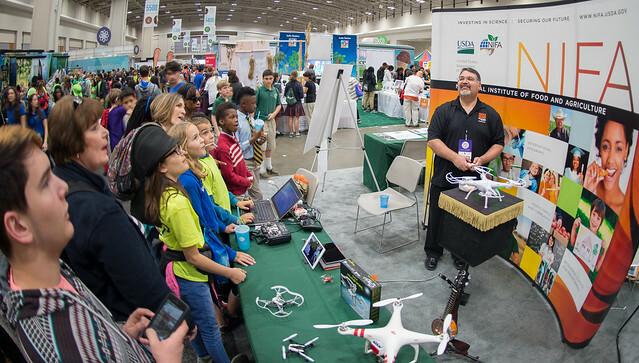 I had plenty of questions from the public on the legalities of flying drones both commercially and for hobby. The kids naturally gravitated to the RealFlight R/C simulator and enjoyed trying to fly the virtual octacopter drone in the 3D environment. Some even tried flying FPV (First Person View) style to see if they could fly through the hanger, which some did! Click on the link below to go to the full article. 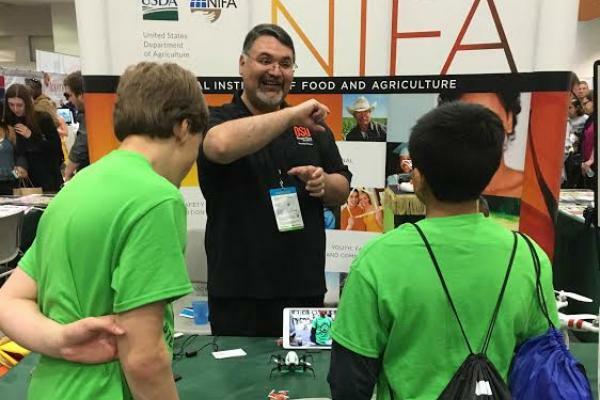 Had a nice mention and photo of my participation in a USDA article about the 2016 USA Science & Engineering Festival in Washington, D.C.
Posted in Exhibit, Victor Villegas.